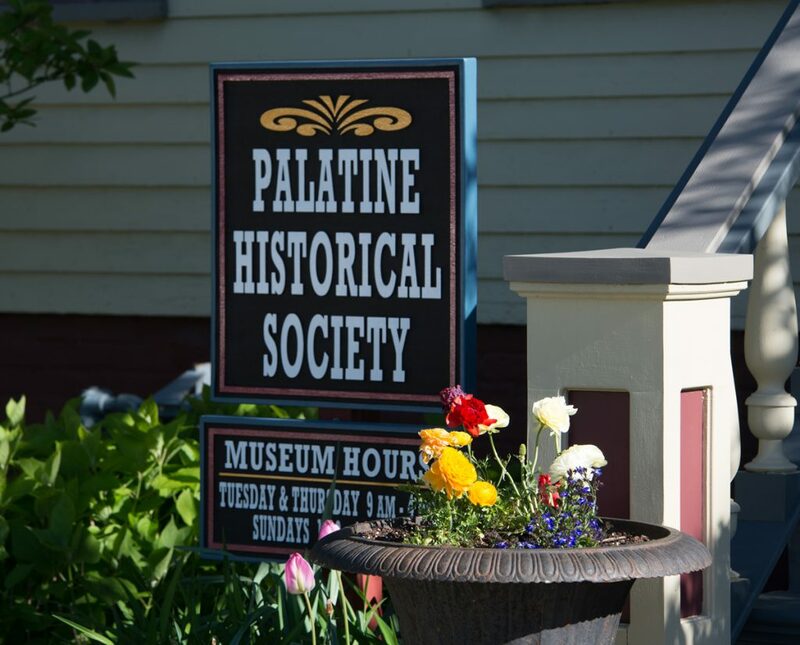 The Palatine Historical Society was formed in 1955. 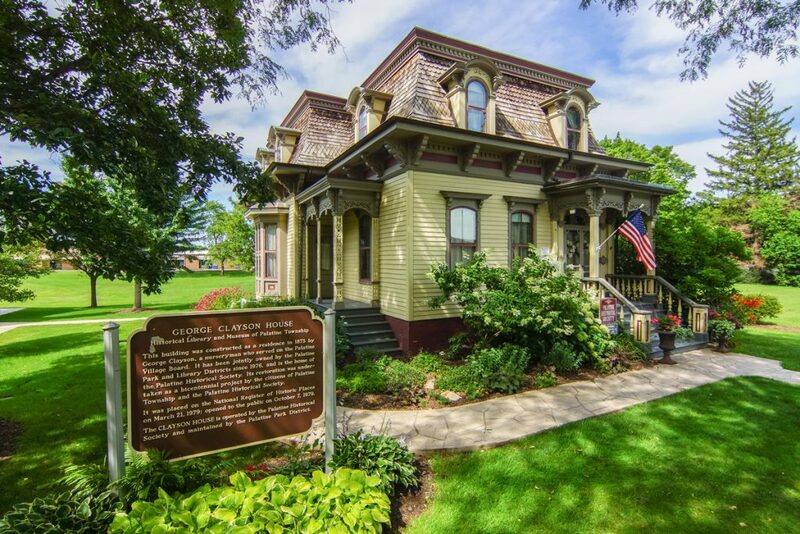 The Society restored a house built in 1873 by George H. Clayson. The Society offers free tours of the Clayson House and the adjoining Carriage House. We are open on Tuesdays, Thursdays, and Sundays. The Society offers an archival collection with a wide variety of materials for researching history in Palatine Township, including high school yearbooks, obituaries and more. The Library has many photos of early Palatine families and homes. 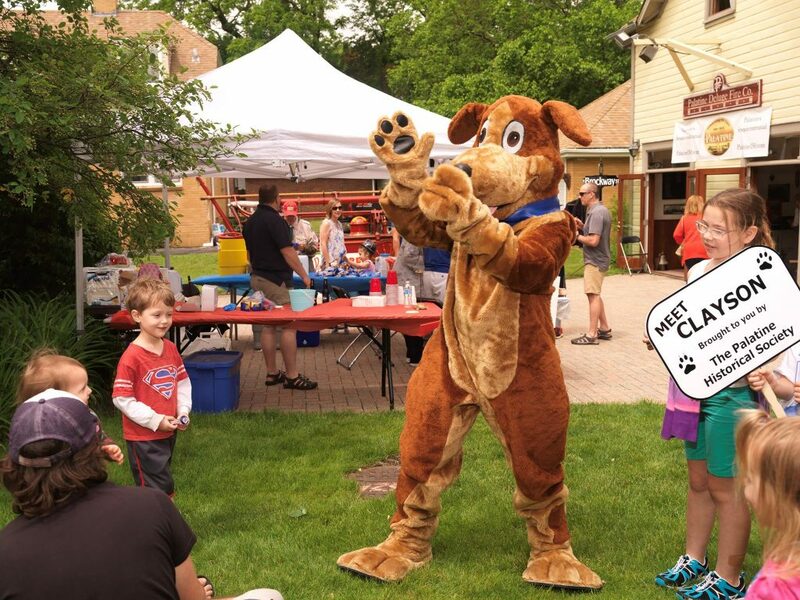 We also house pictures from events in Palatine’s history. The Carriage House offers historical vignettes of the general store – Schoppe’s store, a blacksmith shop, and a fully-furnished Victorian dollhouse. We are proud of the collection of historical fire department uniforms, paraphernalia and other items. We also store Palatine’s first fire engine in the Carriage House . Outside, we have beautiful gardens which have been the focus of 2 master gardeners, who have brought the historic plantings around the Clayson House to live. In the yard north of the Clayson House, we have a tool display with a variety of farming and gardening implements. The Society holds general meetings for its membership in May and September. At each meeting we include a free program of historical interest. The Society’s signature event, our Victorian Teas, are held in Spring, and our Annual Holiday Open House is held in December. Please stop in to see our collection any time, we encourage visits from everyone! Groups are encouraged to make a reservation for visit.